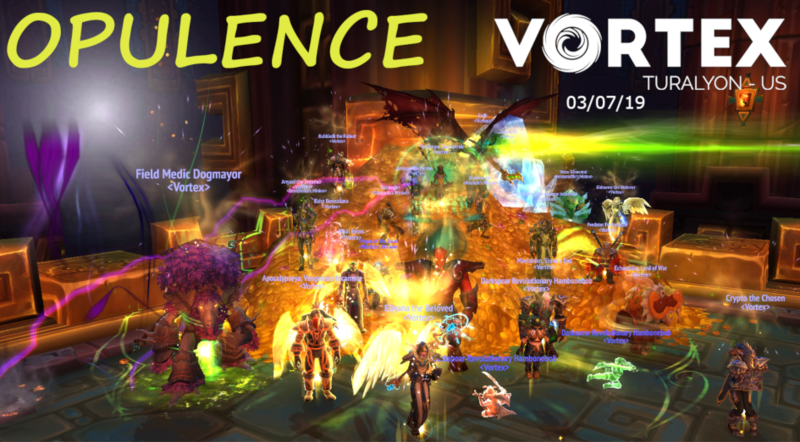 After trying out a few different strats, and an extra week of farm bosses we claimed our kill on Opulence. Sorry for the delay everyone, between work, and family free time has been short this week. Hello Vortex! 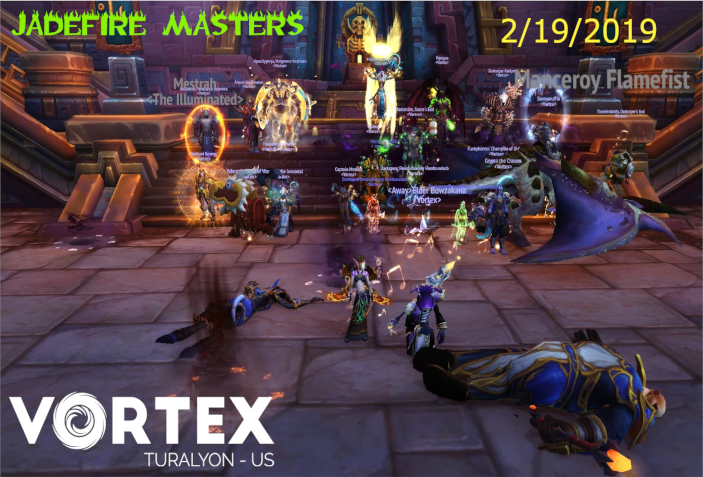 Last Tuesday after swiftly dispatching Champions and Grong, we also killed Jadefire masters. This fight features 2 mobs that do not share health, a Mage that is constantly throwing fireballs at the tanks and stacking a nasty debuff, and a monk that mostly has raid mechanics, but the tanks swap each boss with the fire debuff. Heellllllooooo Vortex. I have been elected as the officer to take care of our kill screens, and the all important post that you are reading right now. 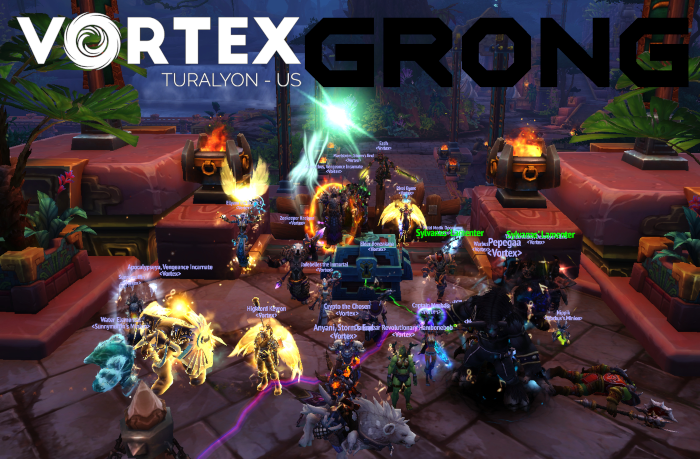 Grong is the 2nd boss for the horde, while the alliance fights our Jadefire Masters. The basic mechanics of the fight is that Grong slowly gains rage throughout the fight, and does more damage depending on how much rage he has, if he gets full rage he does a Torment channel that does raid wide aoe, it pulses 4 times (one for each 25 rage) and puts a nasty dot for each pulse on to the raid. The way you counter this is with the most annoying part of this fight.